If you’re a recently divorced step-parent and are wondering what rights you have in regard to seeing your step-children, there’s a number of things you need to know. Here, we take a look at what happens after a divorce, what measures a step-parent can take in order to gain access to a step-child, and whether there any financial obligations that need to be met. In order to work out what legal rights and responsibilities are shouldered by step-parents after a divorce, we first need to develop a working definition of what legally constitutes a step-parent. In the UK, step-parents are individuals who have married one of the biological parents of a child. Marriage is a legal prerequisite for step-parent status. Simply having lived with a biological parent for a substantial amount of time is not sufficient in itself. Though an individual may have assumed a traditional parental role for a child that’s not biologically theirs, it’s not until they marry that they become a step-parent. Parental responsibility gives individuals the legal right to make decisions regarding a child’s welfare, including decisions relating to medical, accommodation, and educational factors. 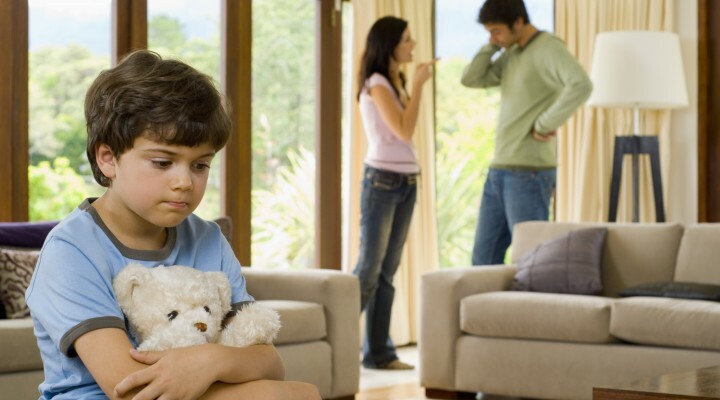 If a step-parent divorces the child’s biological parent, they have no automatic legal right to see the child. The only exception to this rule is if they have officially adopted the child. Though having acquired parental responsibility while in a relationship with the biological parent won’t change this, it may have a positive impact on proceedings if you decide to seek a court order that allows you to see the child. Before it goes to court, the biological parent and the step-parent are required to go through a mediation process, in an attempt to resolve the issue through constructive discourse. If an agreement is still not reached, the step-parent can seek the intervention of the courts. For step-parents hoping to continue their relationship with their step-child, the most useful legal tool is a Child Arrangements Order. These orders determine where the child lives and with whom they spend their time. A variety of factors come into play when step-parents apply for a Child Arrangements Order, and the official in charge will take all relevant circumstances into account before making a decision. When it comes to a step-parent’s financial obligation to their step-child after a divorce, there’s a few things to remember. First, the Child Maintenance Service can’t require a step-parent to pay maintenance for a step-child. However, if the step-child was raised as if it were part of a new family – consisting of the step-parent, biological parent, and any children – the courts could determine that the step-parent needs to cover some costs. In such a case, they may ask the step-parent to make monthly maintenance payments, provide them with a place to live, or cover certain living costs. In most scenarios, a step-parent won’t automatically be entitled to see their step-children if they divorce the biological parent. However, through face-to-face discussions, mediation, or Child Arrangements Order, it is possible to gain access to your step-child. Step-parents also need to be aware that they may have certain financial obligations to their step-children after a divorce. To speak to someone regarding your rights as a step-parent, please visit contact our child custody and child arrangement order solicitors.